Two thousand years ago, a gathering of people in a middle-eastern city began a movement that would circle the globe and leave its mark on individuals and cultures on every continent. This movement would eventually become known as The Church. The church is a movement. And it’s still moving. 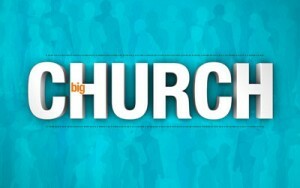 Whether you consider yourself a church person or not, join us for this seven-part series, Big Church, as Andy Stanley brings life to the story of the local church movement. We’ll see you Sunday at 4911 Losco Rd. at 9:30 or 11:00am!